So, this is how it is on vacation. 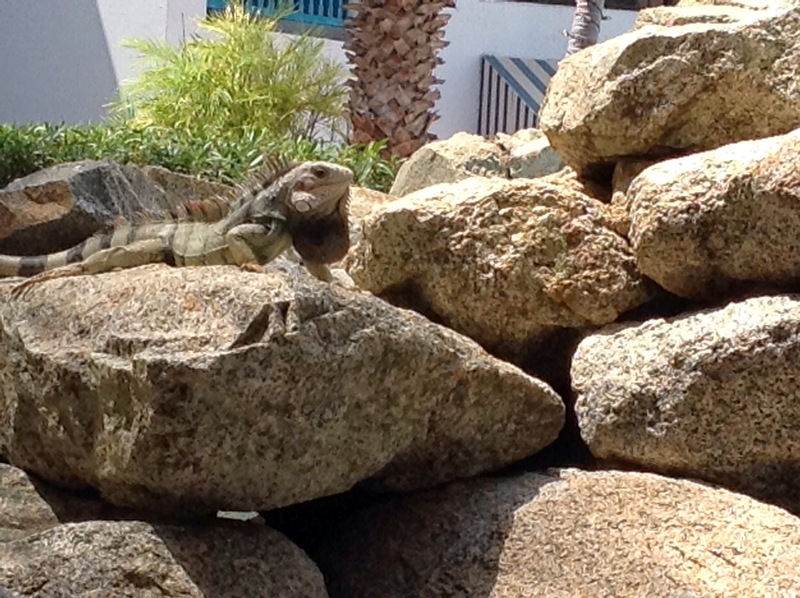 Sprawled out in the sun on his blue lounge chair, the Pres is catching a few rays just like the iguanas. Jennifer and Angel headed to the beach earlier. Oh, one more thing...our dog sitter said Moon and Copper are doing fine....they're eating too for her. Usually when we go away, Copper goes on a hunger strike for a few days. Unlike him, Moon is smart and knows the importance of food. How awesome, I can't wait to see all the pictures!!! He is so cute! i would have at least 200 of the iguanas.. that sunshine looks fantastic. can't wait to see the dogs. oh wow pictures. Bring them on. I remember seeing lots of these in Mexico. They do love to sun on big rocks, so still we sometimes did not even know they were there. The Iguanas look amazing, made for all that sun. We have lizards here. The cats love sitting in the window and watching them sun themselves on the brick ledge. Once in a while one gets inside and then we try and catch him before the cats. Try catching one. It isn't easy...unless you're a cat. Enjoy the sun! Glad the dogs are enjoying their sitter. 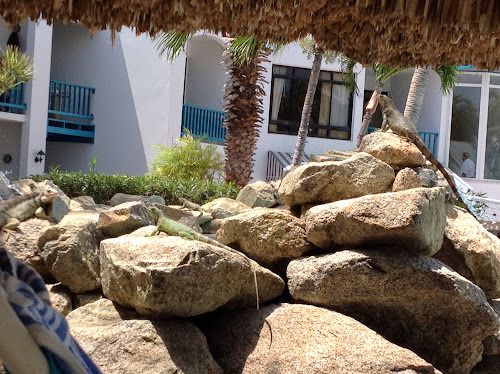 Nice to see iguanas! Gaint figure! wonderful Iguanas!You really got fun!!! 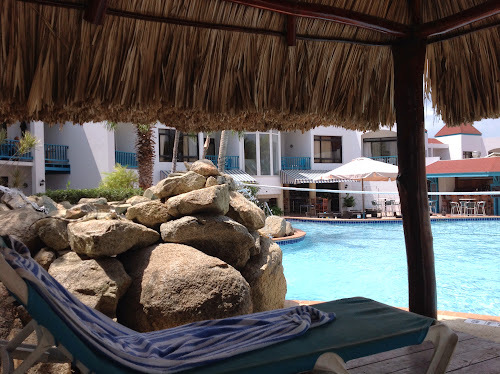 I'm so glad you are enjoying your time in Aruba with the iguanas! Can't wait to see all your photos, especially the butterfly farm. I'm sure Moon and Copper miss you like crazy. Happy vacationing! Soak up all that sun JP. glad the dogs are well back home. You will have a nice tan soon.